When the Manchester personal injury lawyers at the Law Office of Manning & Zimmerman PLLC work with people regarding their car accident injury cases, they often are asked about the possibility of early settlement. While an early settlement may sometimes occur, it is very rare if your case includes mental or emotional injuries. Here is what your Manchester NH attorneys want you to understand about accidents that involve these unique injury types. When your case is at the claims stage, the insurance adjuster will use a company formula to estimate the value of your case. While adjusters are used to valuing physical injuries, the formulas they use do not take into account mental health or emotional injuries. They will often undervalue claims that include such injuries and make offers that are too low to account for your losses due to them. Just like physical injuries, mental and emotional injuries and their effects are individual to each person. The degree of injury with mental and emotional issues arising from accidents may vary far more from person to person than do physical injuries, however. This factor can also contribute to the difficulty in proper claim valuation. Your Manchester NH attorneys understand that the defense is likely to question your credibility when your claim includes allegations of emotional or mental injuries. Consequently, your lawyers may attempt to educate the insurance company about such injuries, but a good understanding of them requires a level of sophistication that most adjusters don’t have. While a rare insurance adjuster might be motivated to settle a particular claim quickly, you should not expect that to happen in your case. Instead, you should expect to have to file a personal injury lawsuit in your case when it involves mental and emotional injury claims. After filing your claim, the discovery process will commence. During the discovery process, you may expect to be deposed by the defense lawyers who are working for the insurance company. Those lawyers are likely to cross-examine you about the effect of your mental and emotional injuries in an attempt to test your credibility. They might also hire a psychiatrist or psychologist and ask that you submit to an evaluation. These types of actions are designed to determine the true nature of your mental and emotional injuries and how they affect your daily life and quality of living. 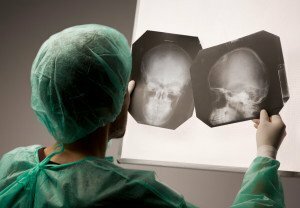 Cases involving mental and emotional injuries often do not settle until well after the discovery process has started. Some of them must be fully litigated in order for you to recover damages sufficient to fairly compensate you for the losses your injuries have caused. To schedule an appointment with the Manchester personal injury lawyers at the Law Office of Manning & Zimmerman PLLC, call (603) 624-7200.